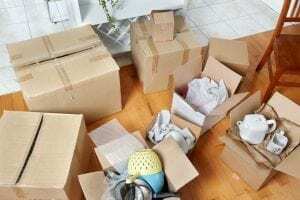 So, are you happy living with clutter all around you? Not necessarily hoarding garbage and refuse but instead just not having enough room to live comfortably. Well, do not feel bad, as around fifty percent of Americans admit to having a clutter problem. It is a common enough occurrence, one that can be quickly rectified by merely employing a storage unit. Now, some people may have a few gripes or concerns about incorporating a unit, but allow us to give you a few reasons as to why you really should consider it. We all love celebrating holidays, be they Christmas, Halloween, Hanukkah, even Easter, and with these celebrations come decorations. But that does not mean that decorations meant for yearlong use, and you will find they will simply be taking up space most of the year. Using a storage unit to house, your festive household attire will help free up a lot of room. Hard to believe how quickly your children grow up, one minute they are playing with toddler toys, the next they have their G.I. Joe fighting their dinosaurs. With this somewhat swift passage of time, it is often easy to be quickly overrun with toys that through your child does not play with all of the time, never the less holds a special place in their heart. Putting them in a storage unit will help you avoid any potential child meltdowns. When your family is stricken with a loss, it is often essential to try and let go to allow the grieving process to take its natural course. That being said, you may want to keep these items, as mementos, but cannot accept having them in your house any longer. A storage unit will allow you to move these items out of your home without having to entirely part with them. Raise your hand if you have too many clothes, but cannot bring yourself to part with any. Well, seeing as this is a blog and no one here can see you, we can all assume you did indeed raise your hand. Why not make room in that closet with aid from a storage unit? 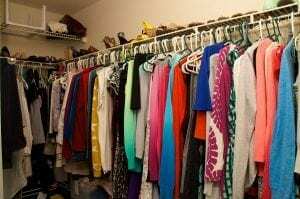 That way you can have space for those pieces of clothes you wear every day and do not have to part with those that you may one day want to revisit. There is no way around it; your garage more often than not becomes your house’s storage location. But that is not entirely what you want a garage for, your parking is to keep your car safe from the elements of the outside world. So, how about you clear out your garage and give your car a little more love.